With the fanfare surrounding the arrival of Nikon's first full-frame mirrorless cameras, the Z6 and Z7, it's easy to forget that a couple of Nikon's full-frame DSLRs are getting a little long in the tooth. The D750 is now over four years old, having been announced back in 2014, while Nikon's most affordable full-frame DSLR, the D610 was launched back in 2013. Rumors have been circulating for the past year or so that we'll see a replacement for these popular models, and it looks like 2019 could finally be the year we see a D760. According to NikonRumors.com, Nikon is expected to officially announce a replacement for the D750 – most likely called the D760 – in the first half of 2019, with shipping starting in the second half of the year. What about a replacement for the D610? According to the rumors, the D610 will be discontinued, with the D760 replacing both models to become Nikon's sole entry-level full-frame DSLR camera. 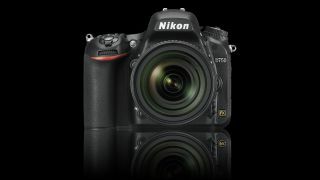 As far as the D760's specification goes, rumors suggest (although bear in mind that these will get much more accurate as the launch gets closer and new information comes to light) that it will shoot 4K video, while the ISO button will move to the area near the shutter release – something with seen on other recent advanced Nikon DSLRs. We may also see the welcome addition of an AF-On button on the back of the camera (something that was missing on the D750), while the D760 could get a AF joystick selector, and we can expect minor changes to the overall button placement compared to the D750. The new camera is also set to get an overhauled AF system – there's no additional details on this, but expect more AF points than the current 51 available on the D750. We're speculating now, but we wouldn't be surprised if the new D760 used Sony's rumored full-frame 36MP sensor (or a variant of it). This new sensor promises 10fps shooting speeds at a depth of 16bit, while it's also claimed that it will feature on-chip phase-detect AF, improving the D760's live view performance. The sensor is also said to use a new dual-gain ADC mode, which promises to improve dynamic range by almost two stops. As always, we'll bring you more details of Nikon's plans as soon as we have them.